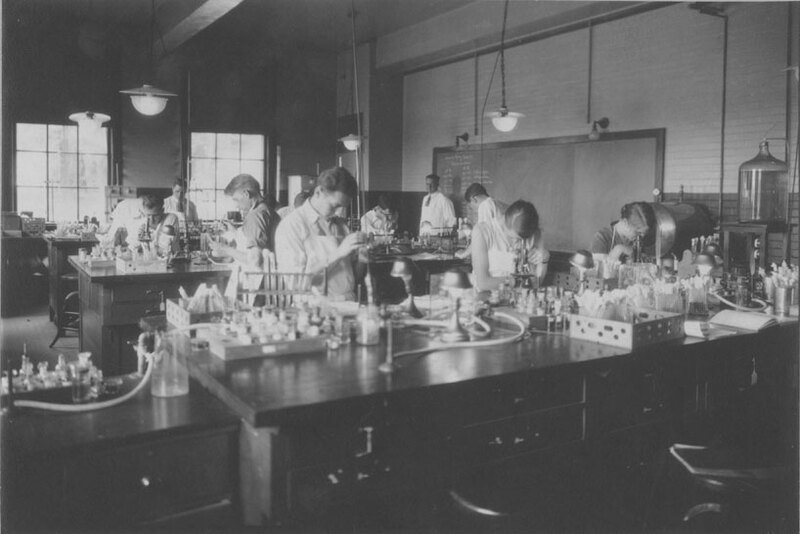 Microbiology class working at their lab stations in the laboratory [instructor James E. Foller], circa 1920's. Microbiology files, Departmental Activities Collection. Special Collections and Archives, University of Massachusetts Amherst.